After many interesting corporate years involving weekly commuting to Stavanger and Oslo, it was time to make a leap and come back home for real. The initial plan was to find another job. Much to my own surprise, I found myself establishing my own company. I realised I had a unique combination of skills and experience that maybe not one single company in Trondheim would need fulltime in-house, but many organisations across Europe, or even beyond, could benefit from on a consultancy basis. I enjoy the 100 % freedom and the 100 % responsibility that running my own business entails. And I get to do what I do best. All the time. As a one-person company, I can offer my clients maximum flexibility; for larger projects, I can draw on extra capacity and specialised competence from hand-picked partners. I am a global tree, thriving in all weather conditions: Belgian roots, Norwegian trunk, branches stretching out over Europe, twigs reaching out to the world, leaves tickling new places. I am a multilingual philologist with more than twenty years’ experience as a communication manager in the oil industry. I now run my own business as a copywriter, presentation coach, public speaker and leader of workshops and seminars. I am part of a media response team, assisting companies with strategic communication in times of crisis. I blog about foreign language acquisition and cultural differences. I am an experienced TEDx speaker coach and I recently received the «Communicator of the Year Award» from Translators without Borders, a global organisation where I volunteer as a storyteller. I am also a TED translator and subtitler. Last April, I held a 90-minute lecture in Sicily, in Italian, without reading from a manuscript, after only 12 weeks of Italian studies, and I had the time of my life on stage. Foolhardiness? Genius? Black magic? Try determination, attitude, a bold take on using basic foreign language skills, avoiding a couple of common mistakes, and merry interaction with a charming audience – all of which I can teach you. Not so many years ago, I would have preferred measles, chickenpox, a fistful of kidney stones and a couple of broken ribs, all at once, to any form of public speaking. In any language. On any topic. To any kind of audience. “Speak to the heart” is the title of my TEDx talk, based on wise words from Nelson Mandela: If you really want to connect with people, you have to speak their language. 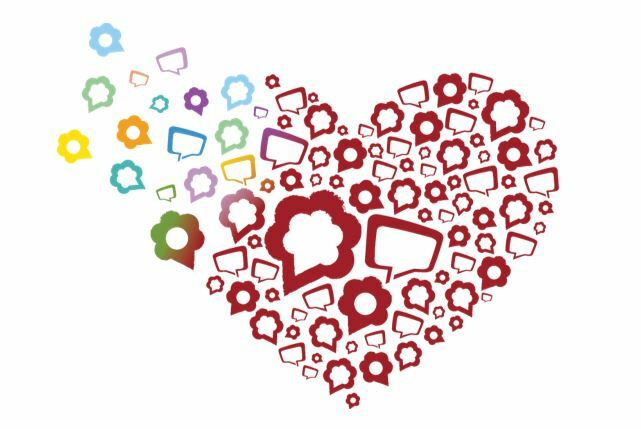 “Speak to the heart” is at the core of all communication services I provide. Good communication is not about reaching out to people’s brains only. The heart is where you really touch your listener. Speak to the heart – of your audience: When you give a presentation, you will touch hearts through storytelling and by interacting with your spectators, not with dry facts and figures. And yes, also boards of directors and investors have a heart. Speak to the heart – of recruiters: You will not land a job by reciting your CV in an interview. Telling a compelling little story that shows the essence of who you are may touch a recruiter’s heart and give you the decisive advantage over your competitors. Speak to the heart – of potential customers: It is not product specifications that sell dishwashers – it is the story of how it will make people’s lives better. Speak to the heart – tickle it, punch it, challenge it, inspire it, nudge it a bit, and then soothe and fondle it. It will trust you. It will love you. Misunderstandings are the basis for hilarious comedy. Unambiguous communication is the basis for efficient, value-creating business. All corporate communication should be anchored in the company strategy. Talk the walk by walking the talk. Laschet Kommunikasjon guarantees tailor-made services. You get what is relevant and useful for you. Knowledge is power. For millions, language is the only barrier to knowledge. The mission of Translators without Borders (TWB) is to increase access to knowledge through humanitarian translations, with focus on health, nutrition and education. Volunteers have already donated over 25 million translated words – and counting. Marleen dedicates some of her time working as a volunteer storyteller and LinkedIn editor for TWB. Laschet Kommunikasjon aims to become an official TWB sponsor before the end of 2015, earmarking part of the company’s income.